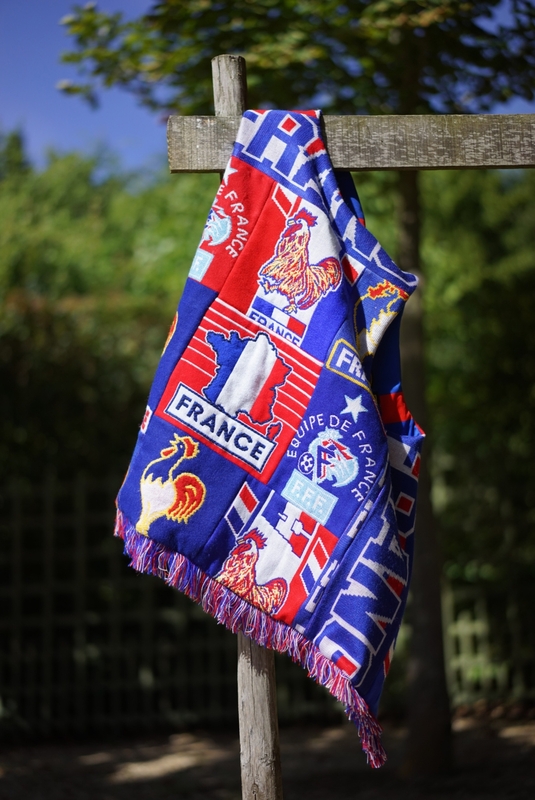 The French national football team fought valiantly until the end at Euro 2016, falling just short of the trophy to a feisty Portuguese side. 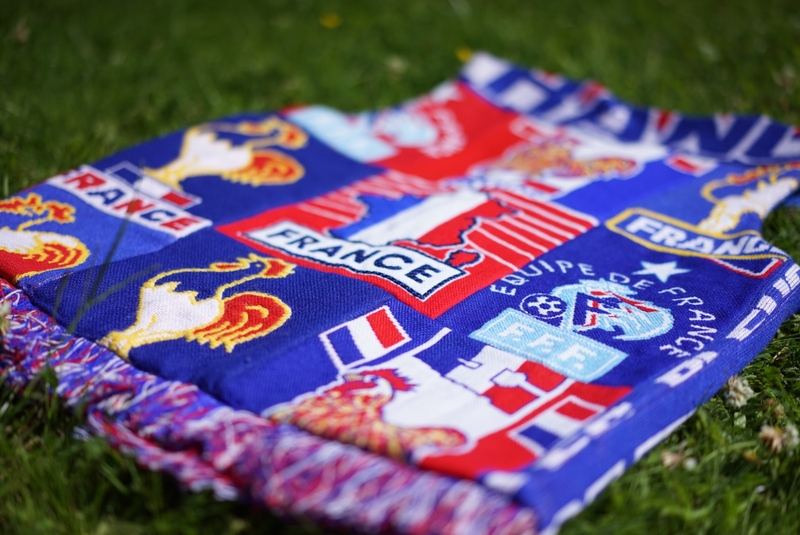 Having designed kits for the likes of the French national team, Olympique de Marseille, St. Etienne, and Stade de Reims, the country’s football will always hold a special place in my heart. 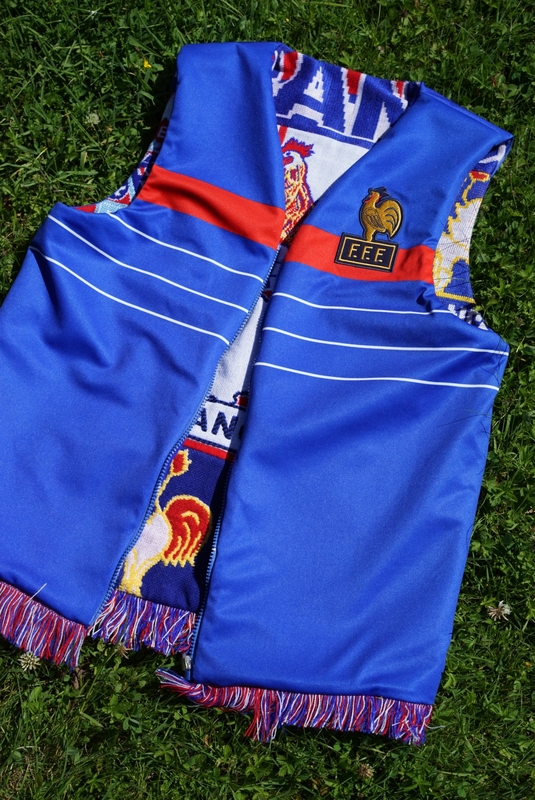 For the final on July 10, I wanted to pay tribute to Les Bleus with a one-off vest filled with memories of past FFF glories. 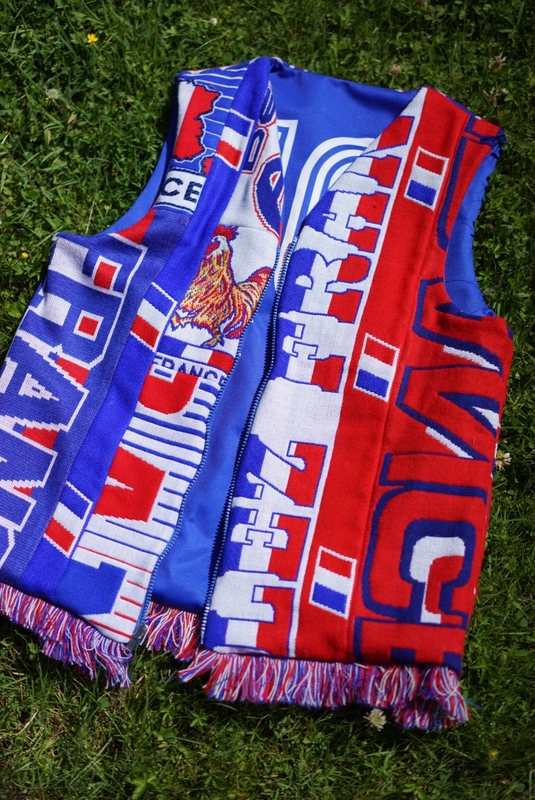 This reversible vest is made up of scarves from my vintage French archive where the front is a patchwork of the French flag, and the back, an homage to the mascot. 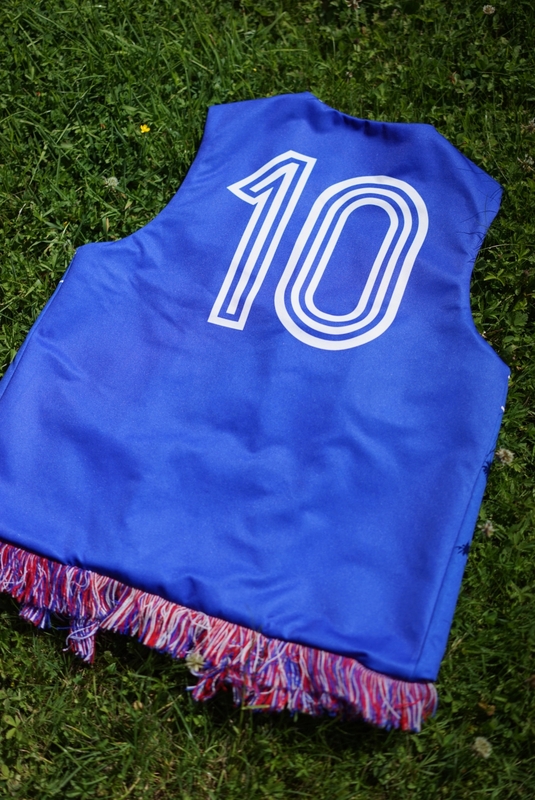 The reverse side is a tribute to the iconic shirt and cup winning sides of 1984 and 1998 with Platini and Zidane’s number 10. 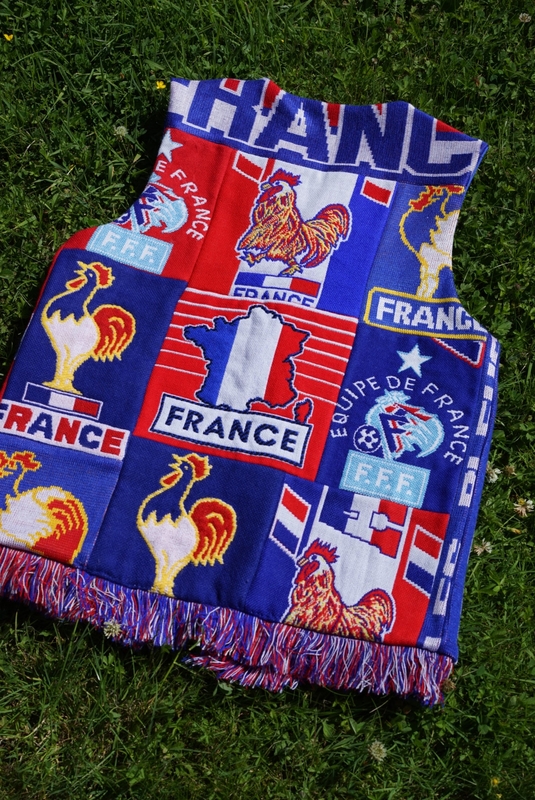 France may not have won Euro 2016, but the team helped galvanize the country and showed us the bright future of French football.